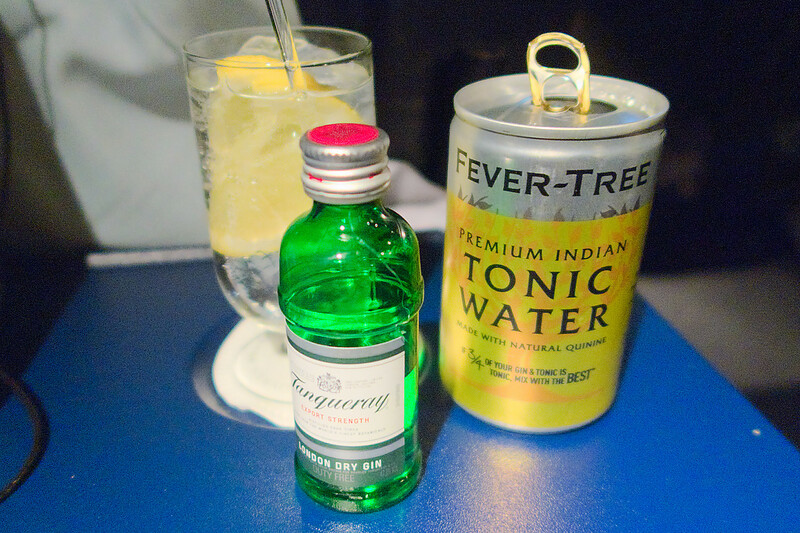 Rant: We were seated in 3AB (moved from 2JK on 767 due to broken table on G-BNWA), during first drink run I've asked for Tanqueray gin, got it without question. 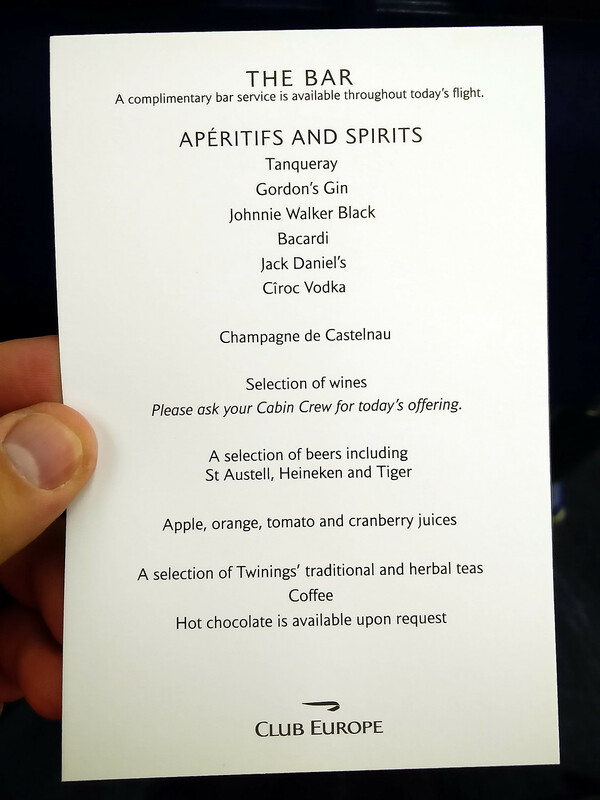 Then my OH asked for the same - cabin crew member serving us asked the CSD for the Tanqueray - CSD replied there was none as it only Gordon's was served in Club Europe... when I pointed out it was on the top of drinks list... CSD replied, they have run out of it. Fine. Second run with meals (by CSD) - only Gordon's for us. 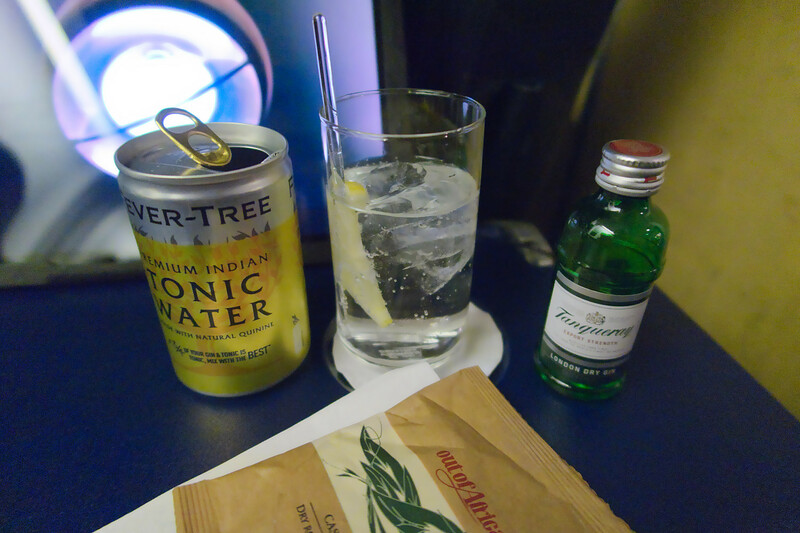 Then after meal another crew member asked what I wanted - I cheekily said Tanqueray gin... and I got it! What the actual ....?! 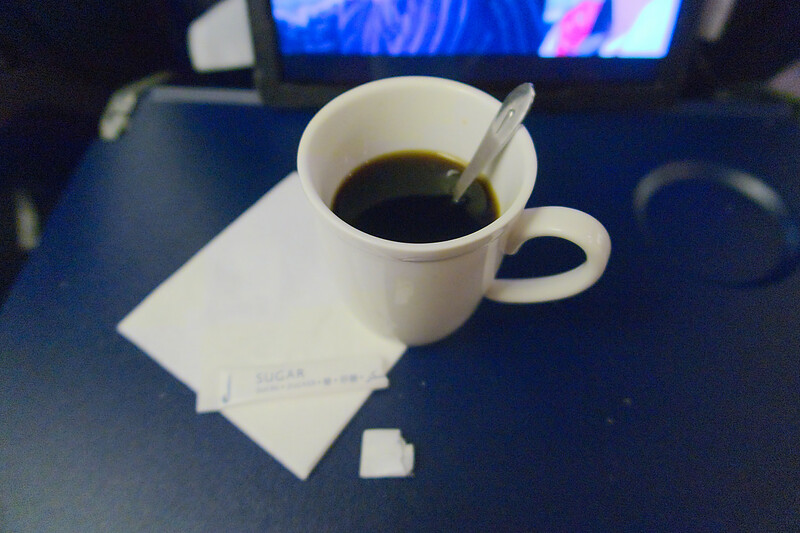 Despite 9 rows CE cabin on Boeing 767, service was rushed and completed in under an hour! Pictures below - click for better quality. That pannini is a disgrace. Its value is for sure cheaper than all of the M&S sandwiches. People must be flying short/medium for baggage reasons or tier points only as its certainly not for the wonderful catering! That's not a panini, that notwithstanding I tried this sandwich for the first time last week and found it rather nice. Better and more substantial than the panini. Whatever it is, it looks rather sad. Come on, we're talking CE here. They could have come with something more inspiring than that. 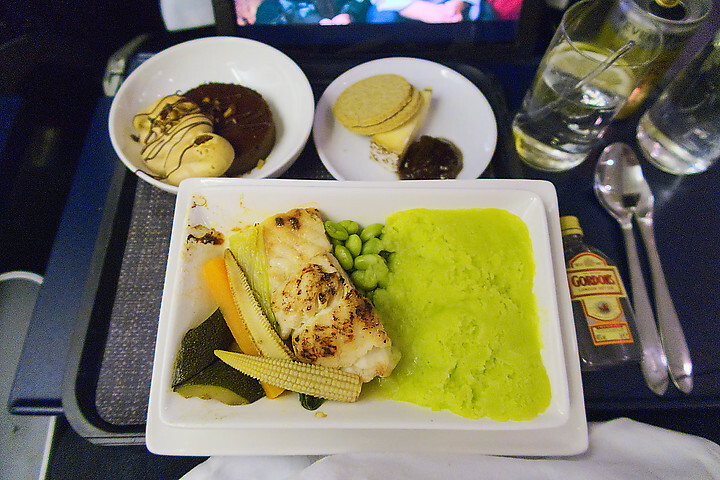 Even IB has a proper meal on a 2H flight. 710 77345 and florens like this. So do BA. 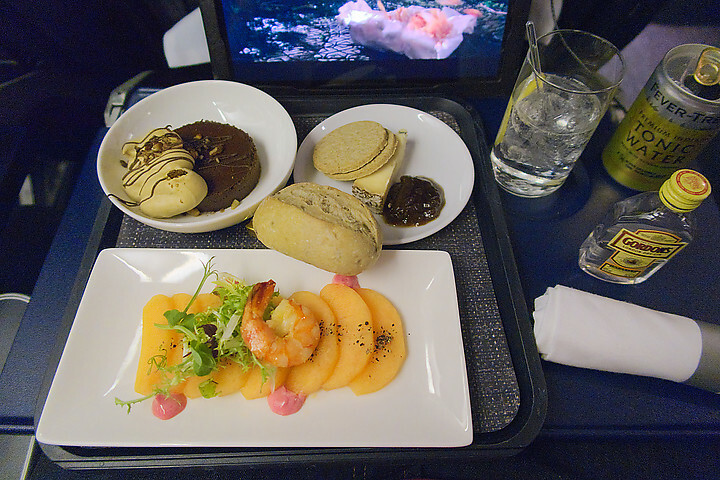 This wouldn't be served on a flight with a 2 hour flight time. Flights of that length are in the long band and you can see examples of long band food linked to in the wiki. Barcelona, Madrid and others are scheduled at 2 hours+, in the medium band and get a panini or a cheese toastie (or a tiny salad as the other option). You do also get a piece of cheese though, and a bread roll. To be fair I deliberately said flight time not block time. My opinion is the paninis and flatbreads are perfectly nice on short 35-70 minute flight times. 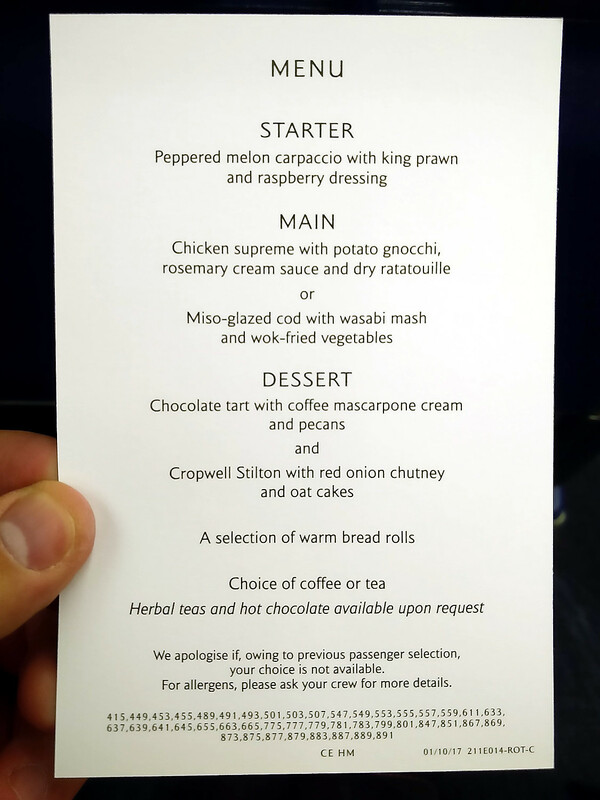 I do agree though that for the longer medium band flights (like MAD which you mentioned) the new CE menu (apart from breakfast) do need some improvement. As has been said repeatedly across the last 100 pages, the longest mediums are losers, the shortest of the longs are winners in this new CE Catering configuration. I think everyone is agreed on that. Tobias-UK, KARFA and megaloman like this. Crew keep calling it a mezzaluna. To be honest it actually tastes OK, the couple of times I've had it there has been a decent amount of pepper on the chicken and it's been reasonably tender. Still don't think I'd buy it if it wasn't included in the ticket though. And it's not premium in any sense of the word. It's dreadful. Not worthy of CE in any sense. It would be far better to have a Ploughmans or a charcuterie plate with a couple of fresh rolls- I'd be happy with that and don't necessarily expect a five course meal, but that pannini/mezze whatever is just plain crap. Surely even the most blinkered Waterside managers can see that? i think that’s getting a little subtle thinking of actual flight time etc. IB flights of well below 2hrs block time have a full hot meal and i think that the current catering is wholly inadequate for former band 3 flights. The afternoon tea sandwich meal is probably inadequate for any C meal at all. 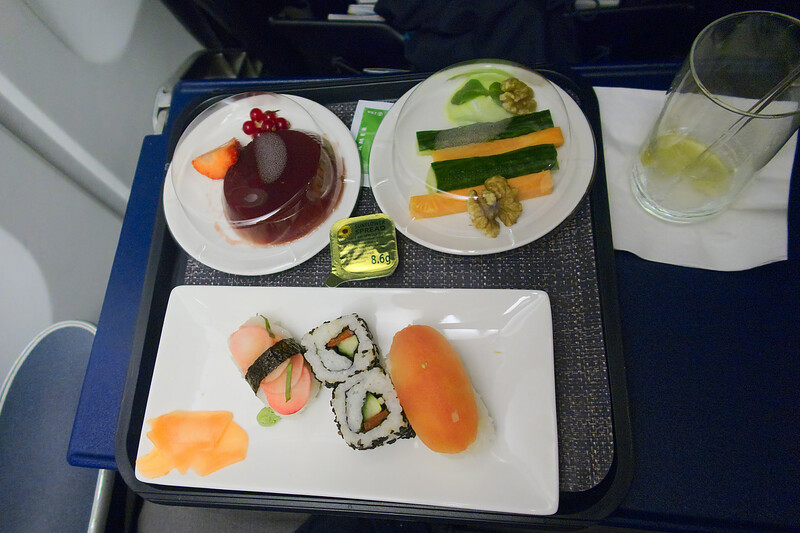 ... i think that the current catering is wholly inadequate for former band 3 flights. The afternoon tea sandwich meal is probably inadequate for any C meal at all. Yes, I think that has been noted by me a few posts up and, as noted by scottishpoet, many times already in this thread.